In all my years on this earth, I’ve never seen anything quite as beautiful as the sky I witnessed tonight. A massive thunderstorm tore through Baltimore, with baseball-sized hail reported in some places. We were fortunate enough not to have any of that here in Carney/Nottingham. 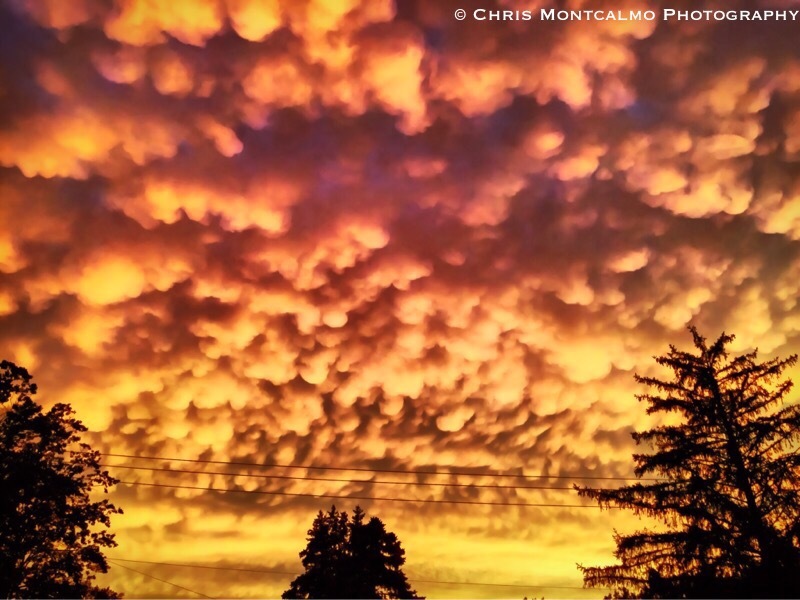 After the storm was over, some breathtakingly beautiful mammatus clouds swept through right at sunset. The entire sky gave off this amazing golden glow. It was simply stunning.